A slain ex-partner and countless alleged threats from a Mexican drug cartel brought Wendy Vanessa Chacon Dominguez to the Salt Lake City immigration court one morning in early May. "I believe that as soon as we get back to my family, we will all be killed," Dominguez told immigration judge Christopher M. Greer through a Spanish interpreter, black headphones placed just above her big hoop earrings, helping her understand what attorneys and the judge were saying about her and her 10-year-old son's applications for asylum. Dominguez said she thinks the cartel is responsible for the death of her uncle, who had been caring for her home last year while she was in the U.S. "He was murdered very violently," Dominguez testified. "The way he died, he was tortured," she told the judge. "And I believe it was because of trying to get information about us." Dominguez said she'd been threatened multiple times by a police commander while she was a municipal government employee in Chihuahua, Mexico, between 2007 and 2010, a "planned job," she later learned, arranged by her ex-partner so that she could skim tax money and give it to the cartel. Dominguez's former paramour had been killed four months before she started her job; she testified that she learned shortly after his death that he had been "involved in the business of narco trafficking." "These people told me that even though he was dead, the business had to continue," she said, testifying that, despite the threats, she never gave the cartel members any cash. In 2015, she fled to the United States. "By then, we were very, very scared," Dominguez said. The cartel would tell her they were watching her children—she has three, two of whom were born in the U.S., her attorney said—and knew which schools they attended, and that she wasn't "complying with a decision that would be favorable to them." After a 25-minute recess, Greer denied Dominguez and her son's asylum applications. He noted that neither she nor her children were harmed "over a period of many years," despite the repeated threats. He also rejected other applications that would have allowed Dominguez to stay in the U.S., including one based on her fear of being tortured should she return to Mexico. Greer cited a report that says Mexico punishes perpetrators of extrajudicial killings, though he acknowledged its high rates of violence. "General conditions of civil unrest," he said, "do not provide a basis for relief." 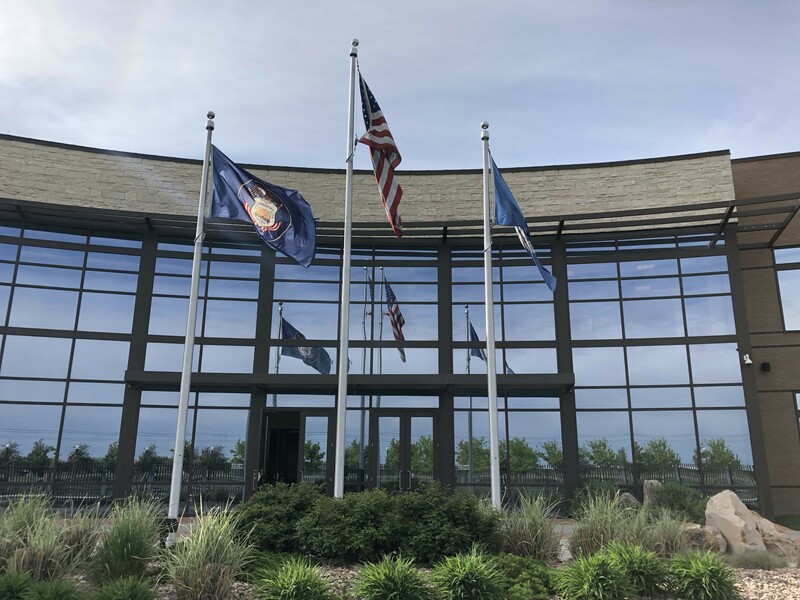 One of three judges in the only court of its kind in Utah—located in West Valley City—Greer and his colleagues also hear cases from Montana and Idaho via a video feed, meaning they consider the cases of immigrants who reside in three different states. The judges—each of whom was appointed during the Bush, Obama and Trump administrations—preside over immigrants' applications for asylum and cancellations of removal from the U.S., among other topics. The previous day, Greer presided over a master-calendar hearing, often one of the first appearances a respondent makes in court, in which judges tell them their rights—to have an attorney proffered at no expense to the government; to present evidence in favor of their case; to analyze evidence presented against them; and to appeal the judge's' ruling—and take pleadings and applications for relief from deportation. 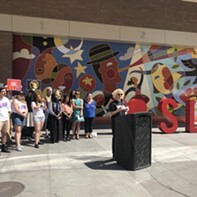 That day, Greer heard from more than a dozen people who had been served notices to appear in court by Immigration and Customs Enforcement (ICE), alleging that they had violated U.S. immigration law. Most had attorneys sitting beside them, but a few were appearing for the first time and hadn't yet hired a lawyer. Luis Carrillo, a 22-year-old Dreamer who came to the U.S. from Mexico in 1998 and doesn't speak much Spanish, told Greer that he hadn't yet hired an attorney. "I'm trying to save money so I can look for one," Carrillo said. Greer rescheduled him for another master-calendar hearing at the end of June, warning him that "the time to find an attorney is not unlimited." The deportation machine publicly championed by President Trump and Attorney General Jeff Sessions—a "law and order" administration that is instituting a quota system that requires judges to clear 700 cases annually and have fewer than 15 percent of their decisions overturned on appeals and that just recently floated criminally prosecuting people who illegally enter the country—is not nearly as well-oiled and fast-moving as their public statements imply. As of Sept. 30, 2016, there were 2,030 pending cases in the Salt Lake City immigration court, a roughly 45 percent increase since 2013, according to a statistics yearbook maintained by the U.S. Department of Justice. More recent official data remains hard to come by, but the Transactional Records Access Clearinghouse, or TRAC, at Syracuse University, a nonpartisan database referenced by multiple Utah attorneys City Weekly interviewed for this story, notes there are 2,698 pending cases through March in the 2018 fiscal year, a 6 percent increase from the 2017 fiscal year. (This is a smaller backlog than the 3,791 pending cases in Nevada and 11,680 in Colorado.) Respondents in this court wait, on average, 508 days for their cases to be completed, from the time they're served their notices to appear until a judge issues a ruling, but this does not include waiting on appeals, which, depending on the case, can take more than a year. Jonathan Z. Paz, Dominguez's attorney, says he expects his client's appeal to take about two years. "She's in limbo. She can't get a work permit, she can just be here," Paz says, describing his client's life as she waits for another ruling on her and her son's asylum application. "Someone else has to support her here for those two years." "With the Trump administration, everything has, you would say either doubled or tripled in time, in terms of processing applications," immigration attorney Jared S. Lawrence says, suggesting the "extreme vetting" favored by the president is increasing the time it takes for cases to be completed. 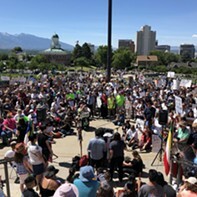 According to TRAC, some 541 cases were filed in the Salt Lake City immigration court in its 2018 fiscal year through March, 87 percent of which involved respondents from Mexico, El Salvador, Guatemala and Honduras. The court's three judges are projected to complete 1,794 cases this fiscal year, a 52 percent increase from FY17. All this is happening outside the watchful eyes of Utah journalists; multiple attorneys told City Weekly they rarely, if ever, see any media presence inside the federal building's three courtrooms. According to Lawrence, the Department of Homeland Security no longer has a contract with any jail in Utah besides in Cache County, where bed space is very limited, so most detained cases are sent to Denver, New Orleans or Las Vegas. Carl Rusnok, DHS spokesman, wrote in an email to City Weekly that, "ICE has limited detention capacity in the immediate vicinity in Utah, which requires our ICE deportation officers to focus our resources appropriately." Because those detainees are sent elsewhere, Lawrence says, "cases that sometimes would be delayed a year or two years are being adjudicated within just a few months because they don't have to focus on the detained clients." Attorneys say things have changed since the Trump administration took office. "There have been major changes under this administration, that's for sure," Leonor Perretta, immigration attorney and liaison between the Executive Office for Immigration Review (EOIR) and the American Immigration Lawyers Association, says, noting that prosecutorial discretion seems to be "gone completely" because attorneys representing DHS seem to now have "very little discretion to do anything." "[DHS counsel] have no choice. They have to prosecute everyone who comes through their doors. It's causing an even worse backload," immigration attorney Jonathan Bachison says. Rusnok wrote in an email to City Weekly that "ICE officers continue to possess and exercise prosecutorial discretion." Despite that, as Perretta says, "not a single thing that has happened [since Trump took office] has positively affected immigrants." Adam Crayk, immigration attorney, says the relationships between judges, DHS counsel and respondents' attorneys in the local court are strong. "For the most part, it goes pretty well," he says. "We actually have a pretty good working system here." DHS counsel and the court administrator declined to speak on the record with City Weekly, referring questions to DHS or EOIR spokespeople. "That's a Trump administration thing," Perretta says of their tight lips. A spokeswoman for EOIR wrote in an email that "immigration judges do not give interviews." The themes of Dominguez and Carrillo's stories—violence, fear, desperation and patience, as they wait for strangers to decide where they and their families will live—are commonplace in the Salt Lake City immigration court. "This is one of the most depressing and difficult courts that exist," Crayk says. "There is nothing like this court."